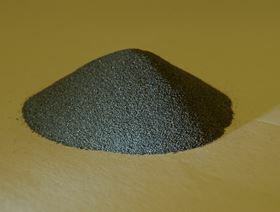 Metalysis’ technology produces metal powders at lower cost with reduced environmental impact. Metalysis has received an investment of £20 million from Woodford Patient Capital Trust and Iluka Resources, an existing investor in Metalysis to continue to develop its metal powder production technology for commercial production. Iluka has increased its interest in the company to 28.8% as a result of this funding round. Metalysis says that its technology produces metal powders – primarily titanium, tantalum and bespoke alloys – at lower cost with reduced environmental impact. The increased use of metal powders in 3D printing is driving increased innovation in several sectors, including aerospace, automotive and biomedical engineering. This investment will support Metalysis’ continued growth and its commercial rollout, through strategic partnerships and licensing of its technology. Metalysis’ strategic focus is titanium, which can be used in a variety of applications to satisfy demand for low cost, light weight, high strength and corrosion resistant metals. The powders suit a wide variety of 3D printing needs across a variety of high-tech, industrial and manufacturing sectors. Metalysis has recently completed a programme with TWI, a UK leader in materials technology innovation, which demonstrated the feasibility of its bespoke powders for 3D printing orthopaedic hip implants.